Our digital library is full of titles and features that make it easy for your child to enjoy great digital books! Our kid-friendly landing page features changing displays of titles, so you can see what's new. Tap on Collections to see reading lists like the OBOB titles. We have picture books, early readers, comics, and chapter books, from classics to current titles. Read-along titles are available as picture books and early readers. Read-along books have a narrator read the book, and the words are highlighted as they are read. These are great for beginning readers! You can also limit your search to books based on Interest Level, ATOS, Lexile, or Text Difficulty. 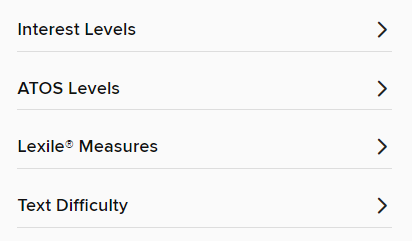 Learn more about these standardized reading levels. 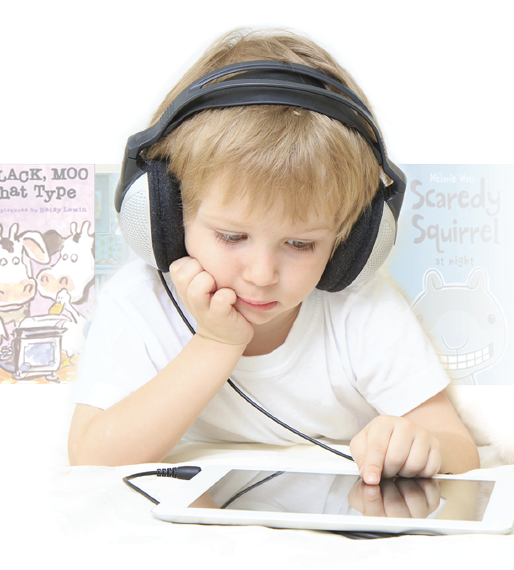 We also offer a great selection of audiobooks for young listeners! Download to enjoy them on long car trips, or for kids to listen to on their own. 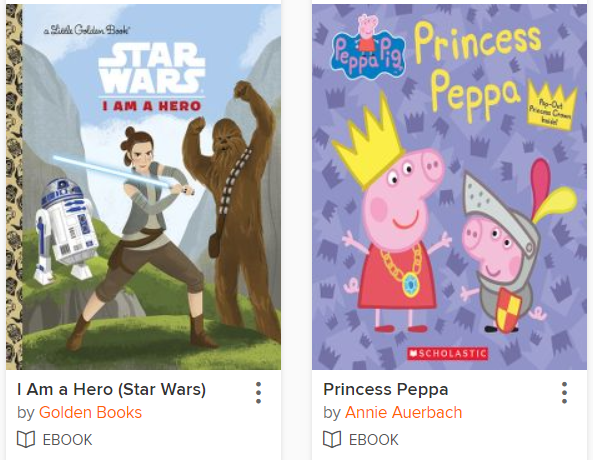 We add new titles for kids and teens each week, to make it easy to find something great for your child to read or listen to. How does my child get started with WCCLS' digital library books? Choose Under 13 years old to continue, even if the teen is over 13 years old. This means you don’t have to create an additional username/password. Your child can check out 15 digital books at a time, and can place 15 holds on digital titles. Since digital books return themselves after the loan period, there are no fines! If a book is checked out by someone else, your child can place it on hold. Once the book becomes available, you will receive an email message at the address entered when the hold was placed. Watch a 2 1/2 minute video on getting started with the OverDrive app. I want my child to be able to easily browse for age-appropriate titles. How do I do that? We offer two portals for our digital library books - one for kids, and one for teens. These display titles marked as appropriate for juveniles (kids) or young adults (teens) by the books’ publishers. In the OverDrive app, look for the menu button (3 horizontal lines) and tap on that. Then tap on Kids or Teens to get to the portals. 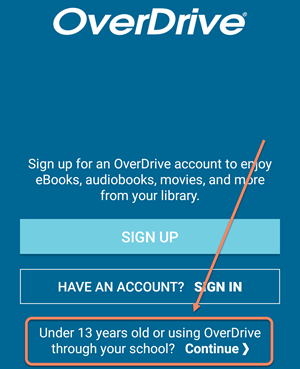 Once you visit the Kids or Teens portal, your device will remember your preference, until you clear the cache in your browser or in the OverDrive app. To return to the main collection (all the books in our digital library), tap on Back to main collection from the menu. I want to set the maturity level of titles that my child accesses in the digital library. How do I do that? Browse our FAQs or submit a question online. 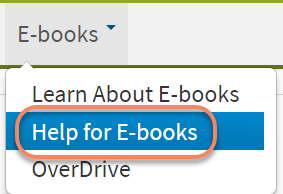 You can always find this by clicking on Help for E-books under E-books at wccls.org.